Cooking Mama has decided to go on a very hard earned retirement! No worries though, as we have a young chef prodigy to take her place! He's pretty new to these parts, but can hold his own against the competitors. Soma struggles with titles, so needs your help with that task! Perfect dish for the current weather! Can you tell Soma what anime the dish is from? If you can tell him what show the dish is from he will reward you with 4 cards for the trouble! This round will close Tuesday, December 13th! Closed! I'm a week late! Sorry for the delay > < For my error the prizes will be doubled for this round! Perfect dish for the current weather! Can you tell Soma what anime the dish is from? If you can tell him what show the dish is from he will reward you with 4 8 cards for the trouble! This round will close Tuesday, November 29th! CLOSED! Also Pot of Gold ends soon, be sure to get your tasks in & Happy early Halloween!! What a nice, spoopy treat! Can you tell Soma what anime the dish is from? If you can tell him what show the dish is from he will reward you with 4 cards for the trouble! This round will close Tuesday, November 8th! Looks like its pretty spicy tbh! Can you tell Soma what anime the dish is from? If you can tell him what show the dish is from he will reward you with 4 cards for the trouble! This round will close Tuesday, October 25th! Closed! The last round of Pot of Gold will remain open until October 6th, so get your entries in! Congratulations to the winners of last month's Pot of Gold! It's October, so of course we're going to feature some vampires! I'm so nervous, I hope this round is okay! - Everything collected and turned in for these tasks must be done and logged in between October 1st and October 31st, 2016. So you've only got one month! - When commenting here after completing a task, make sure you label your subject with "Completed", as well as the number of the task you finished. Also, make sure you let me know if you've completed all of them so I can give you your extra reward! - Please give me a link to your logs with every comment you make. Also, make sure you link me all the stuff that I need to check. - I will be able to pass out most of the prizes (excluding the grand prize) before the end of the month, so please tell me (with a note in your comment) if you want them earlier. - Pot of Gold tasks can only be turned in when the round is open, so that means that after 12:01PM CET on October 1st, you can't turn in anything even if your tasks were completed and logged in September! Even if you were on hiatus. It's just like with normal games, you can't reply to them once the round closes. If you need to fix a link or clarify something after this time, please reply to your comment or PM me; do not edit your comment after the deadline! - Also, most of the prizes you obtain from Pot of Gold are valid for a set period of time. Special deck donations, however, are an exception - think of them as tickets that you can turn in regardless of when it was won. The theme of this month's Pot of Gold is Diabolik Lovers. Luckily for most of you there is no biting nor blood involved in this game - hopefully!? </td></tr><tr><td padding="0" width="300" height="236"> </td><td style="vertical-align:top;">Ayato is a rebel and the troublemaker of the house. He doesn't know how to express himself and often gets irritated very easily, often taking it out on those around him. He's not a bad person, just a little troubled? 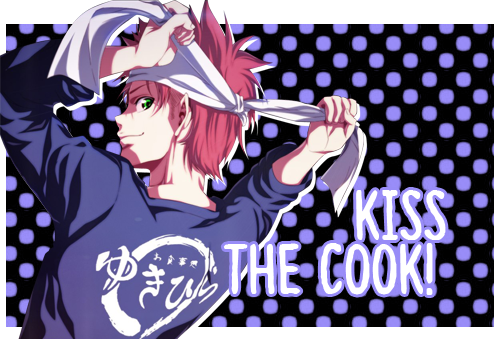 Let's learn from Ayato and do the opposite! Let's spread love instead of anger by gifting 5 players! ↪ This gift can be a card or a crayon. ↪ This can be mixed in with a trade at the same time. ↪ Cards or crayons don't have to be earned this month. 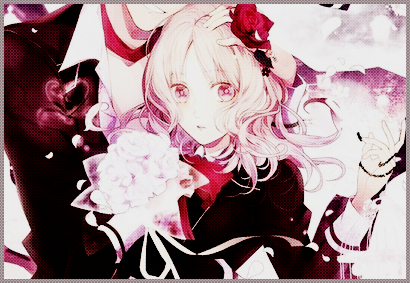 Shuu is the eldest of all the siblings and is the current master of the mansion. Shuu normally is found napping and enjoys listening to music. Bring Shuu atleast 5 cards that create lyrics to any song. ↪ Cards need to be earned in October. ↪ You will lose the cards you donate. ↪ Language doesn't matter, as long as it's an actual song. ↪ Words like "it, is, the, as, you, etc" may be skipped in the lyric (or most prepositions). Subaru is a loner and enjoys his own company above all others and doesn't really concern himself with the busniess of his siblings. Let's do some solo work by mastering a deck OR leveling up. ↪ You cannot earn the cards from trades! Laito is well...the pervert of the bunch, often earning him suspensions from school because of it...yikes! Aside from his wild and flirtacious side there's quite a soft spot for doing puzzles in his spare time, his favorite being crossword puzzles. Participate in 10 games, with atleast 1 game being a puzzle game. ↪ These game rounds needed to be started in October to count. Prizes: 10 random cards and 1 crayon. Ruki is really the odd-man out in this bunch, not being directly related to the Sakamaki's in any way. Before becoming a vampire, Ruki was raised in a rich household so knows the values of higher life. Let's do as atrisocrats do and flaunt our money! Use 5 different services this month! ↪ Masteries, Art Shop, Art Studio, Levels, Recycled Art, Donations, Portfoilios. ↪ You may NOT use the same service more than once. Kanto never really recieved the attention that he needed growing up and is desperately trying to connect with others - in his own way of course. Let's get friendly! Trade with 10 other players! ↪ Only trades made from October 1st count. ↪ No restictions on tiers or card counts. ↪ Trades linked are great, but as long as logged are fine. Prizes: 5 random cards + 5 crayons. Reiji is quite the perfectionist and enjoys having everything neat and tidy. He has taken the role of housekeeper in the mansion. Reiji has a bad habit of creating weird rules that need to be followed - if not followed consequences could be fatal?! Reiji's decided that he'd like cards this month, but not just any cards will do. Bring Reiji cards spelling out SPOOKY, GHOSTS, VAMPIRE or CANDY - but that's not all! The cards must be orange, purple, gray or yellow! ↪ Cards do NOT need to be earned in October. ↪ You will NOT lose the cards you donate for this task since it's so picky! Prizes: 15 random orange, purple, gray or yellow cards. Yui is quite naive and tends to trust people a little more then she should. Yui is very devoted to her faith, regardless of accepting the existance of the supernatural menaces that are around her. Let's show her our own form of devotion! Tell Yui about some of your absolute favorite characters and why they're your favorite! ↪ Must be atleast 2 sentences to recieve reward! You can earn up to a total of 52 cards and 8 crayons for completing the tasks for this month! Grand Prize B: Double deck donation for 1 month. You must present your coupon when collecting! Also for prize A, make sure to keep track of how many times you've used it. You have until November 1st at 12:01PM CET to complete these tasks. Good luck! - Closed! What a delicious looking stack of pancakes! Can you tell Soma what anime the dish is from? If you can tell him what show the dish is from he will reward you with 4 cards for the trouble! I'll give you a hint for this round, it's a relatively "new" show! This round will close Tuesday, October 11th! Closed! All that food can make your tummy upset! Sometimes you just need to settle down with a nice cup of tea! Can you tell Soma what anime the dish is from? If you can tell him what show the dish is from he will reward you with 4 cards for the trouble! This round will close Tuesday, September 27th! Closed! Looks like quite the treat! Can you tell Soma what anime the dish is from? If you can tell him what shows the dish came from he will reward you with 4 cards for the trouble! This round will close Tuesday, September 13th! Closed! This round will close Tuesday, August 29th! Closed! This round will close Tuesday, August 16th! Closed! Can you tell Soma what anime the dish is from? If you can tell him what shows the dish came from he will reward you with 4 cards for the trouble! This round will close Tuesday, August 2nd! This round ends on Saturday, July 23rd! Closed! Can you tell Soma what anime(s) the dishes are from? If you can tell him what shows the dish came from he will reward you with 12 cards for the trouble! ROUND BONUS: if you can name the dishes chef/who made each dish you will also receive an additional crayon for your troubles! This round will close Tuesday, July 19th! This round ends on Saturday, July 9th! Closed! One day I wont be late with the rewards lol! Can you tell Soma what anime the dish is from? If you can tell him what show the dish came from he will reward you with 4 cards for the trouble! This round will close Tuesday, July 4th! This round ends on Saturday, June 25th! I hope you guys are all playing the Anniversary Event! Did I not post the game last time?? This round will close on Tuesday, April 21st. Closed! Sorry on the late posting, I'm going on a vacation so im running around! This round will close on Tuesday, May 24th. Sorry on the late posting, my work schedule has been crazy! Soma loves to replicate dishes and put his own spin on them! He's looking for what anime the dish in question is from. This weeks dish is definitely a crunchy one! This round will close on Tuesday, May 10th. Welp sorry I was a little late on posting this one! Soma loves to replicate dishes and put his own spin on them! He's looking for what anime the dish in question is from. This weeks dish is a sweet one! This round will close on Tuesday, April 27th.